Our student section is a big reason we do well, but are we taking things too far? It is at these moments during the game when we must realize it is 2016 and we still have racism prevalent here at North Dakota State. It is also hard to forget that is isn’t a new issue for the Herd. Homecoming has come and gone here at NDSU. Rampant binge drinking, puking, unplanned pregnancies and parades, my oh my. 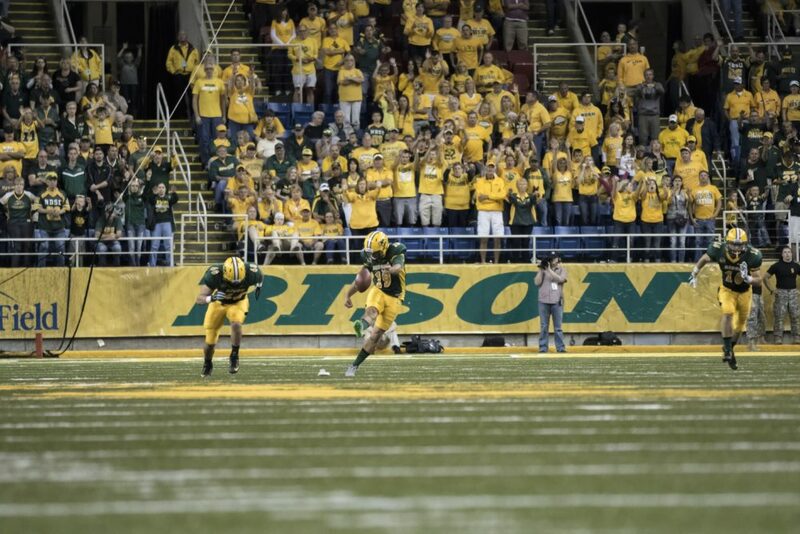 Be it the band or football team, NDSU truly dominated the Fargodome this past Saturday. Look I am not claiming to be a smart person. I am not a Midwesterner either. On a good hot-dish day I might be a Minnesotan. Be that as it may, I don’t understand why you guys call it pop. I also don’t understand why you insist on reciting this terribly racist chant. This chant is embedded in the fact that our only true competition for best university in the state comes from our neighbors to the north, the University of North Dakota. While this is something that would make sense in some cases, I fail to see the connection considering our lack of actually playing UND in anything meaningful. As we sit in the stands cheering on our truly dominant football team, it is hard to not be sickened by this chant. It is also worth noting that our Herd here at NDSU is not without controversy. 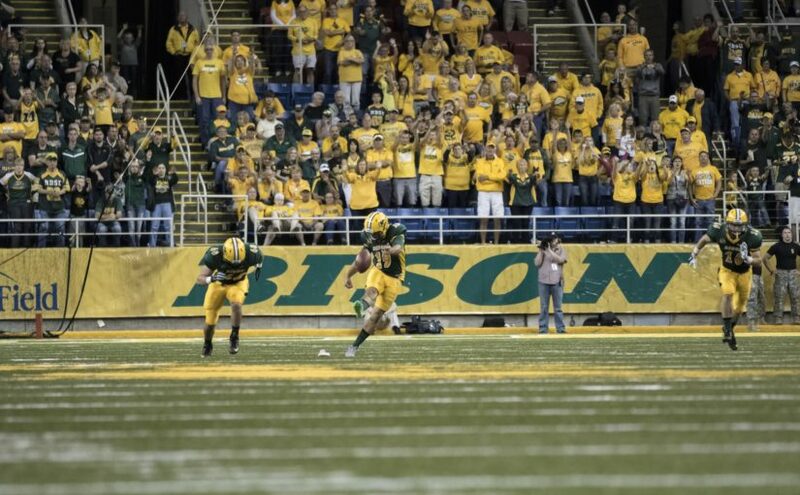 During a game in 2009 against Northern Iowa, the NDSU student section was noted for engaging with opposing players. This caused athletic director at the time Gene Taylor (now the Hawkeye’s athletic director) to address the situation publicly. 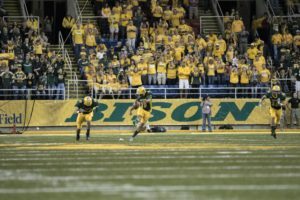 Reaching back to 2002, the NDSU student section was accused by University of Minnesota-Mankato football coach of directing racial slurs at black players. Although time has passed the question remains to this day in 2016. Is the Herd taking things a bit too far? While it might seem like 2002 was a long time ago, one would only have to look back to last Saturday to find an example of racial slurs being used in the Fargodome. 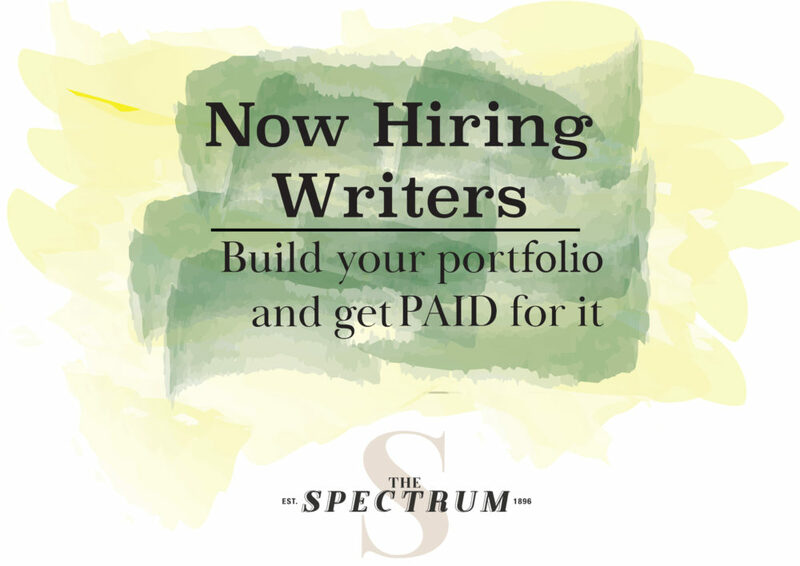 When at the Dome it is hard to not fall into the crowd mentality being employed by the Herd. For Christ’s sake we stand and sit with the crowd. It should come to no one’s surprise that we chant with the crowd. During my time as a freshman I admit to doing some stupid things. I once ate six pieces of pizza from West and I yelled this chant. I did not feel comfortable not chanting. I didn’t really understand the implications of what I was saying. Time and time again though we have been told this is wrong. In the stands it is truly hard to be a free thinker. Caught in the pack mentality, or in this case, the Herd mentality. We stand, we chant, we utter racial slurs. Hey it is just football, right? As we cheer on our team that we love oh so very much, a bad taste stagnates in my mouth. We are seeing national controversy arise from UND and their previous school mascot. We are also seeing social media take UND by storm in the form of a girl’s Snap story. So why do we insist on continuing a tradition that has been deemed “offensive”?